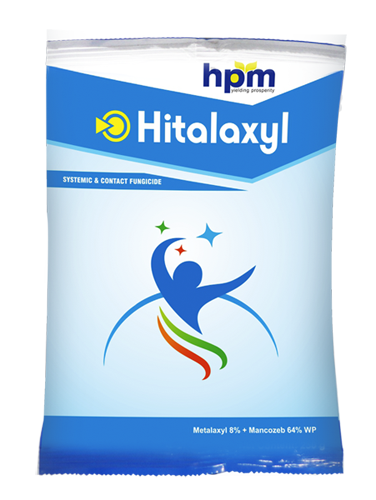 Hitalaxyl is a wettable powder containing a mixture of the systemic fungicide Metalaxyl and the contact fungicides Mancozeb. 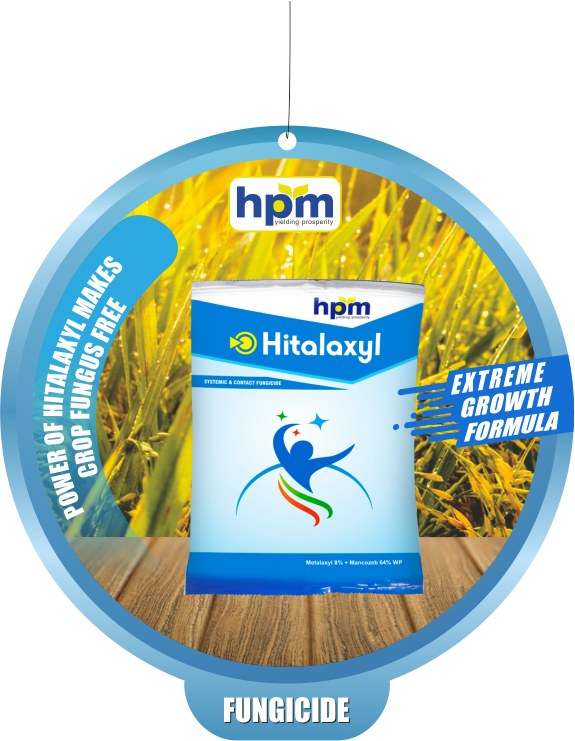 Hitalaxyl is a broad spectrum activity against diseases like Downy Mildew, Early Blight, Late Blight, Tikka, White rust, Alternaria blight, Damping off, Brown and black rust, Blast, etc. It is a broad spectrum fungicide which controls diseases by its preventive as well as curative action. Quick uptake and trans-location towards emergent tips helps to protect the plant from diseases for longer period of approximately 14 days. It is recommended to spray Hitalaxyl at the commencement of the disease symptoms/ at apparent moment of disease incidence. At recommended rates, Hitalaxyl is compatible with most other commonly used insecticides and fungicides except lime sulphur. It is available in 50 gm, 100 gm and 250 gm pack size. Metalaxylinhibits protein synthesis in fungi,by interference with the synthesis of ribosomal RNA. 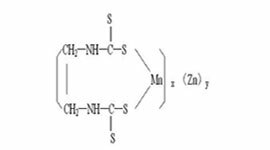 Mancozebreacts with, and inactivates, the sulfhydryl groups of amino acids and enzymes of fungal cells, resulting in disruption of lipid metabolism, respiration and production of ATP. Metalaxyl is systemic fungicide with protective and curative action. Mancozeb is broad-spectrum, non systemic fungicide with protective action. 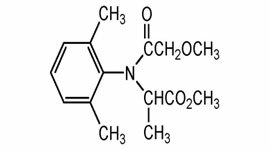 It is a wettable powder containing a mixture of the systemic fungicide Metalaxyl and the contact fungicides Mancozeb. It is a broad spectrum activity against diseases like Downy Mildew, Early Blight, Late Blight, Tikka, White rust, Alternaria blight, Damping off, Brown and black rust, Blast, etc. It is recommended to spray at the commencement of the disease symptoms/ at apparent moment of disease incidence. At recommended rates, it is compatible with most other commonly used insecticides and fungicides except lime sulphur. Fine, free flowing, yellow to yellow-green homogeneous powder. 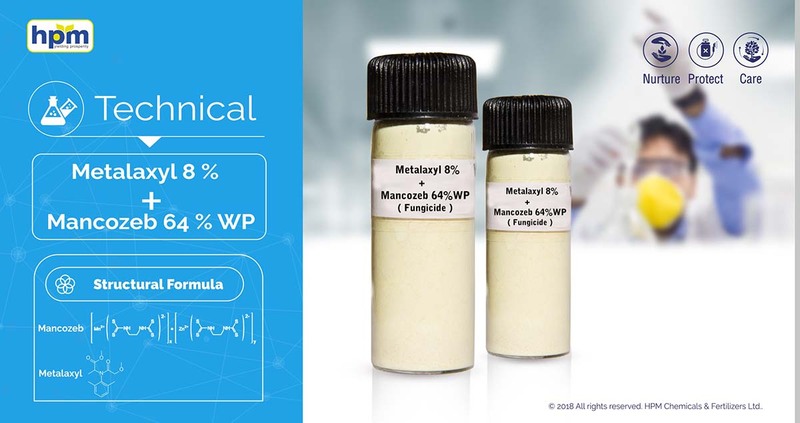 Metalaxyl : 8% Min. Mancozeb : 68% Min. Compatible with most insecticides and fungicides except sulphur.